An Ankara court on July 11 arrested four students who were previously detained on charges of “insulting” President Recep Tayyip Erdoğan for a placard they carried at the graduation ceremony of the Middle East Technical University (ODTÜ). 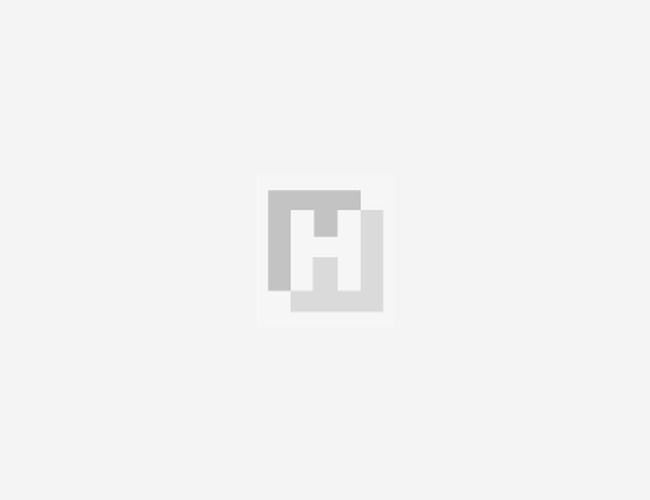 Of the four arrested students, three were carrying the placard, whereas the other was responsible from the transportation of it to the university, state-run Anadolu Agency has said. The court has also ruled for the release of a printing house employee who was also previously detained for printing the relevant placard. 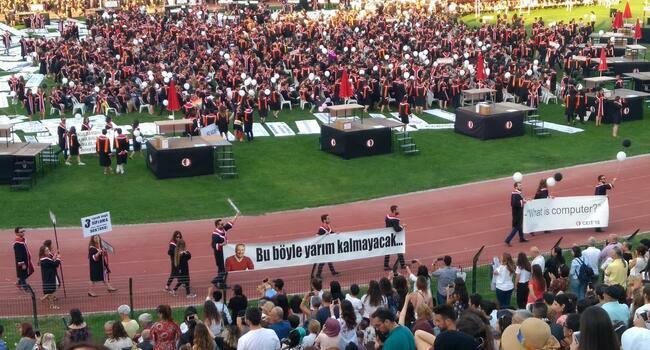 Students carried placards with political messages during ODTÜ’s graduation ceremony on July 6, as part of the 62-year-old university’s tradition. A number of placards referred to the July 24 elections won by Erdoğan, criticizing the government and supporting the main opposition Republican People’s Party’s (CHP) presidential candidate Muharrem İnce. On July 7, ODTÜ, one of the top public universities in Turkey, released a statement saying they had also launched an investigation into the incident. “We are saddened by the unpleasant incidents [during the graduation ceremony] and we do not approve of them,” the Rector’s Office said in a statement on July 7.